Shakespeare : The Love Project Inc.
One of the concepts that we seem to have a difficult time with is what one of Shakespeare’s quotes addresses: “Things are neither good nor bad but thinking makes it so.” Or in more colloquial terms: “Is the glass half full or half empty?” Depends on how you see it. Every experience carries in itself an unlimited number of possibilities for us to experience different emotions and reactions. Which emotion or reaction we will have to a situation depends on us. Even the ultimate – the loss of a loved one – has the possibility to allow us to create something positive in our life experience. In the loss we may find strength and creativity we didn’t know we had. We may find a depth of love we were not aware of. Or we may find a different set of values and path. Knowing how much say we actually have in the way we experience our lives is empowering and liberating. Below is an excerpt I found in Oprah’s magazine. “… friend, Margo, had to get back from a business trip in time for an extremely important meeting at work. But somehow, she didn’t allow enough time to get to the airport, and she missed her plane. Margo began rebuking herself: “I should have left last night. I should have taken an earlier plane.” Then a funny thing happened. As Margo thought about the things she could have done differently, she realized that she always had choices; in fact, she chose her reaction to this situation. She decided not to obsess about it, and, after calling her boss to apologize, used her newfound free time to take a walk. As Margo relaxed, her creativity flowed and she started to feel positive about the future, whatever the outcome. The next morning, when she arrived at work, she learned that several people had been similarly delayed, and the meeting had been postponed until that day. Margo was a smash. Having let go of her fear and self-recrimination, she had a lot more to offer. Missing her flight would have been a failure only if she had refused to learn. Spiritual lessons are everywhere. When we see our work as part of the playing field for personal growth, we become less enmeshed in it and less frantic about the outcome. Then we can enjoy it more, and we can make a greater contribution. ..” Anne Wilson Schaef, Ph.D., is the author of Meditations for Women Who Do Too Much and Meditations for Living in Balance. As in any match you look at your opponent square in the face. You want to measure up its strength while letting it know you are not afraid. When the bell goes off, you approach it with determination. You find your way in, you put your arms around it and you hold it tight. You smell its sweat and you dance around with it until you are able to take it down to the mat. You hold it there and you pay your respects. You let it know of its worthiness and that you will always be mindful of it. Nobody can guarantee or be guaranteed happiness forever but there are a few things that we can do every day that will help us have more satisfaction and a better outlook in life. Below are some ideas in how to live a happier life. Be a Part of Something You Believe In – It can be any type of organization that supports a social cause. This activity will act as an anchor by giving meaning to your life no matter what else is going on. Helping others or doing something for the environment gets us out of our heads and gives us a feeling of accomplishment. It will also get you involved with others and give you responsibilities. Share Time with Friends and Family – This one seems obvious but so many of us get so involved with work that we forget that friends and family feed our hearts. Feeling loved and belonging to a group gives us the inner strength to go out into the world. Reflect on the Good – Quite often people concentrate too much of their attention on negative outcomes and leave no time to reflect on their successes. It’s natural for a person to want to correct undesirable circumstances and focus closely on doing so, but there must be a healthy balance in the allocation of personal awareness. It is important to mindfully reflect on the good while striving diligently to correct the bad. A continuous general awareness of your daily successes can have a noticeably positive affect on your overall emotional happiness. Be Honest – Being truthful without being hurtful is key to our well being. Lying to ourselves and others create an environment of negativity. Always tie loose ends and try to leave things on a good note so you can move on without having emotional strings attached. Slow Down And Enjoy The Simple Pleasures – We are always in such a hurry that we never get to appreciate all the gifts that are given to us on a daily basis. A tender moment, a beautiful sunset, laughter, a pleasant smell, these are things that enrich our lives and give us pleasure. But if we are always running we don’t see any of it. Small things, such a nice meal with a loved one, has the ability to give us true fulfillment. Really give it a try to these five life altering suggestions. You’ll see how much more you’ll be able to get out of life. When my husband passed away almost two years ago, I kept trying to find meaning in the loss. How could so much pain be for nothing? I have since learned that is a very common reaction. We lose so much that we want something in return; wisdom, insight, super powers, or even just a special seat in heaven. I remember saying over and over that I was still the same person I had been before Chris got sick and the same person after he died. But I was wrong. I would soon learn that loss and grief have a way to bring us face to face with whom we are and life itself. Many things change after great loses especially how we want to live our lives and what’s important. Grief is not something to be desired but if it knocks on your door, let it in, offer it a seat and make friends with it. It is a strange friendship the one we form with grief; while it rips us apart it also builds us up in a different way. If we let the friendship flourish from the destruction a deep sense of self will rise. I can now tell the Deborah of years past that much does change and while I don’t know about a special seat in heaven I do know of a different seat on earth build on solid ballasts. I have just come back from spending ten days in Brazil with my parents. I had a great time with them; we talked, had lunch and dinners together, and saw a couple of movies. It was also my mother’s seventy ninth birthday. I love my mother but ours wasn’t always an easy relationship. She was always very emotional, and that scared me, and I, a little wild for her. As the years went on we tried to strike a balance; neither one of us forgetting we were a family. I’m not a mother so it has taken me a long time to understand how my mother feels about me. I was made by an act of love, grew inside of her and then fed and protected by her, while I had my eyes on my life’s road. My mother and I survived all the years of misunderstanding because of the love we have for each other. That’s the power of love; it keeps you there even when your mind tells you to shut the door. Today, I admire my mother’ wisdom and her still ever growing love for me. I’m no longer afraid of her emotions and she has come to understand my singular way of being. 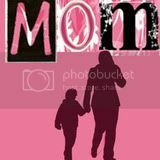 So this Sunday, even though I never pay any attention to holidays, I will tell my mother how much I love her and how much she means to me. And I hope our love can color all the roads that lay ahead for me. Calls back the lovely April of her prime. July 21, 2009 by The Love Project Inc.
And summer’s lease hath all too short a date”.